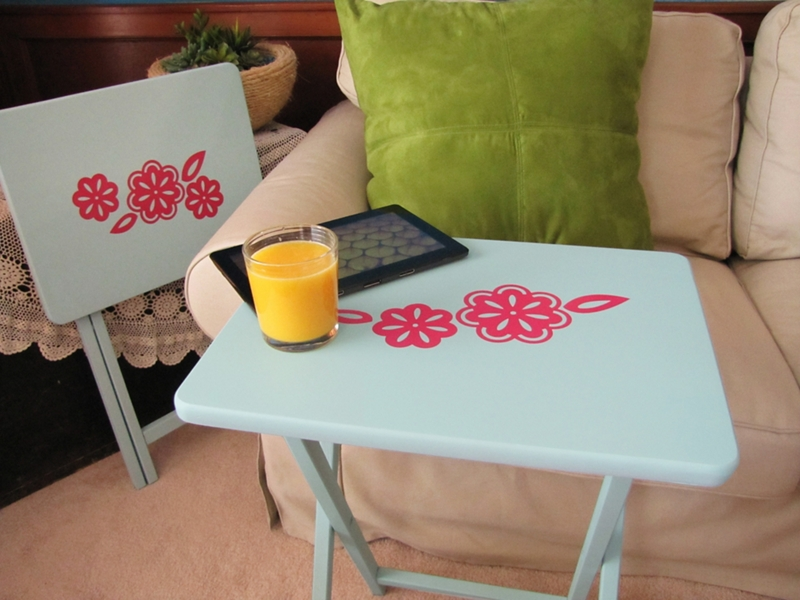 Turn plain-Jane tray tables into colorful home accents. Disassemble the trays, if possible. Sand all surfaces. Wipe with a tack cloth. Spray Krylon® COLORmaxx™ Gloss Mambo Pink on the tray table top and let dry. Repeat if needed. Carefully tape off any decorative trim that will not be painted. Mask off the design area and spray with Krylon® COLORmaxx™ Matte Aqua. Let dry for 30-45 minutes and then remove masking. Let cure for 24-48 hours. Mixing gloss and matte finishes adds fun texture to projects.